We’re a locally owned, independent insurance agency that believes in making clients happy and also that delivers fully customized, cost-efficient policies and plans. Our team of agents is committed to providing insurance that’s first-rate and also to contributing to the communities that it serves. 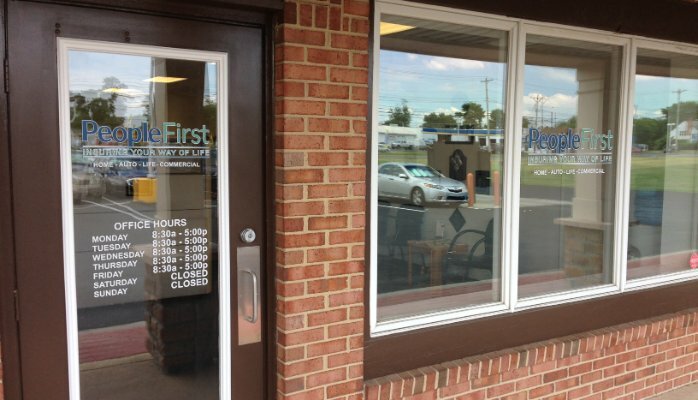 Our agents are proactive, intuitive, and industrious, and also they’ve served individuals, groups, and businesses in Middletown and in communities throughout Northern Delaware for many years. They work closely with clients in order to create the best possible solutions, and also since the beginning our agents have been passionate about insurance. We work with a variety of A-rated carriers, and for this reason among others we offer a vast array of insurance options, which are personal and also commercial. Our business program keeps almost any commercial enterprise in Northern Delaware secure, and this program has many insurance options, including business owners policies (BOPs), commercial auto, and fleet coverage. We have specially designed programs for businesses in more than 30 different industries, including technology, food service, and real estate. We select coverages from these programs in order to make any commercial policy or plan complete. For individuals and groups we have homeowners, auto, life, and recreational vehicle policies and plans, and also we have many other personal insurance options. Whether one wants to cover the costs of medical attention or secure a motorhome, we can help him or her. To learn more about our insurance offerings, please visit or products page. We take a hands-on and detailed approach to serving clients, and this means that we thoroughly assess clients’ needs through one-on-one consultations and risk analyses. Once we know and understand clients’ needs, we identify the right coverages. At the points that the right coverages are identified, we write the best possible policies and plans. We have quick turnaround times and also we’re reachable whenever clients need to get a hold of us. For this reason, clients get their insurance promptly and also clients can always get information that they need. We review solutions that we create regularly and this ensures that coverages are always current and also that clients’ rates are always competitive. We’re as committed to being a part of the communities that we serve as we are to delivering the best insurance and the finest services. We support the Appoquinimink and Garnet Valley school districts, and also we support local business owners. We’re members of the Middletown Area Chamber of Commerce and also we participate in local events whenever and however we can. Also serving: DE, PA, MD, NJ, VA, and NY.